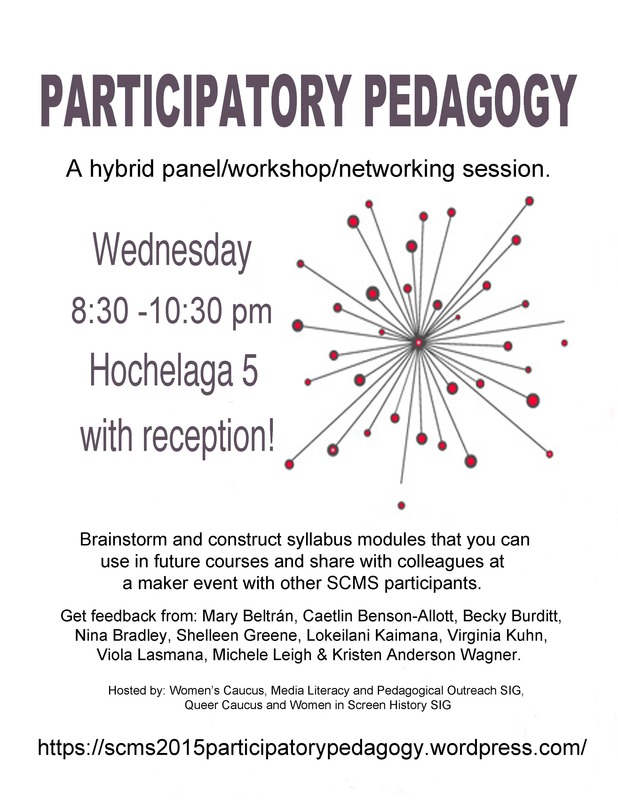 Here’s the first video from our five teams that will frame the discussion for our Participatory Pedagogy event at the 2015 SCMS conference. Caetlin Benson-Allott, Associate Professor of English at Georgetown University, and Lokei Kaimana, doctoral candidate in the Department of Radio-Television-Film at the University of Texas-Austin and the Mendenhall Dissertation Fellow at Smith College, start us off with a dialogue on teaching “Difference and Affinity” in film and media studies. Difference and Affinity from DJ Zoe Trop on Vimeo. This entry was posted in Uncategorized on February 17, 2015 by vacall.